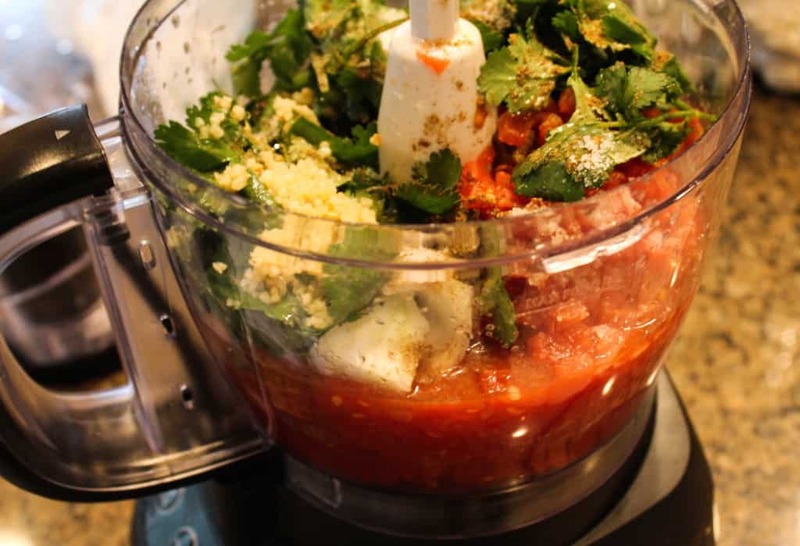 This is a delicious, easy, Five Minute Restaurant Style Salsa Recipe made in a blender. It is fresh and spicy. You will never buy store bought salsa again! I love Salsa. I can’t get enough of it. The spicier the better. A little sweating never hurt anyone, ha, ha! Don’t worry. I tame it down when making it for others. I can’t stand the jar stuff. Jar salsa is so bland compared to the fresh flavors of homemade salsa. For years I sliced and diced all the ingredients and it took me a good 20 to 30 minutes to prepare. Then Pinterest came along and I stumbled upon a “Quick and Easy Blender Salsa” by Mountain Mamma Cooks. I thought surely this salsa could not be as good as the salsa I put so much effort into. Well, I was wrong. Honestly, this blender salsa is killer and it is ridiculous how quick and easy it is to make. Mountain Mamma Cooks has a great blog with very good recipes. Be sure to check out her other recipes. Throw in all your ingredients, push high pulse, and done! This Restaurant Style Salsa Recipe literally takes 5 minutes to put together. Just throw it all in a food processor or blender and then done! I feel like I am cheating when I make it. Try it. You will never buy store bought salsa again!
. I love them. They are everything you want in a chip: crispy, salty, crunchy, and light. I actually prefer the taste of these with my salsa over the corn chips. I have made several of my friends try them and they loved them too. They are corn free, all natural, no transfats, no preservatives, gluten free, no MSG, Certified Low Glycemic, and high in fiber. 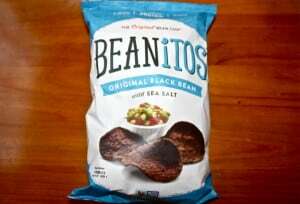 Ingredients: Whole Black Beans, Whole Long Grain Rice, Pure Sunflower Oil, Guar Bean Gum, and sea salt. I have found them at Harris Teeter, Whole Foods Market, and in the organic section of Food Lion. They have other flavors as well. As in all things, eat with moderation. These will make you feel a little less guilty about the moderation. *Cooking Note: If you want it mild, substitute one small bell pepper for a jalapeño. If you want it spicier add one more jalapeño or add a serrano pepper. I like a little extra cumin also. It just depends how powerful you want your salsa to taste. This is a great Super Bowl Food or a great appetizer for your next cookout. It is also an excellent way to eat healthy food. If you like this recipe, check out: Dill Pickle Dip, Jalapeño Cilantro Hummus, and Candy Bar Cream Cheese Fruit Dip. Put all ingredients in base of food processor. Pulse until finely chopped. My mom makes salsa like this. SO. GOOD! Totally different than chunky pico. Think I’ll make some for our Mexican food on Friday. Thanks for the great recipe. Yes, that is so nice to include me Scott! Thanks!! Hi- this looks delicious, simple and fast- which is exactly how I like my salsa! I’m putting together a buzzfeed recipe roundup for Cinco de Mayo- may I include yours in the mix? Homemade salsa is ALWAYS so much better than any stuff from the store! Yours looks wonderful, and bet it’s even better in summer with fresh tomatoes!! I can’t wait!